Yes, they really are FREE to download. TIP: If you are trying to download all 15 files at once on an iPad, you'll need some other kind of add-on function that can handle "zipped" files. Otherwise, SCROLL DOWN to the bottom of the page, where you can download each day's audio file individually. When I first read about something called the relaxation protocol (Protocol for Relaxation), I had NO idea what it was about. None. Never heard of it. The relaxation protocol is considered baseline work for serious behavior modification training, like what I did with Lilly (our original canine heroine) when it became clear just how truly, deeply, and clinically fearful she was of the world at large. That much I got from the start, but it wasn’t until I saw the whole thing in print that a sinking feeling sunk me. On paper, the Protocol for Relaxation is daunting. That's when I came up with the idea to create MP3 audio files that I could listen to on my iPod, while training Lilly. It worked great for us, and I can tell from blog traffic statistics that people all over the world continue to access them ... a lot! We began using the Relaxation Protocol in fall of 2007. Back when I first posted these audio files, I wasn’t entirely sold on the idea of this detailed, tedious form of behavior modification. Today, all this time later, let me be clear. The Relaxation Protocol provides critical baseline training for fearful (or reactive or aggressive) dogs. I honestly think it sets such an important foundation that I will likely use it with all dogs in my future — whether they are fearful or not. The original protocol developed decades ago has been updated and modified by various animal behaviorists. Dr. Karen Overall developed the version upon which these audio files were created. I’m really boiling things down here, but essentially the protocol teaches a dog to settle and defer to you in no matter what happens. Through food rewards and calm, quiet praise, the dog learns good associations with the various stimuli. It’s essentially a formatted, systematic way to use classical conditioning to teach a dog to feel better and relax. With Lilly, I did the 15-day cycle in sequence in various areas of our home. We spent literally months working on this in a safe, controlled environment before we ever attempted to take this training into public spaces. 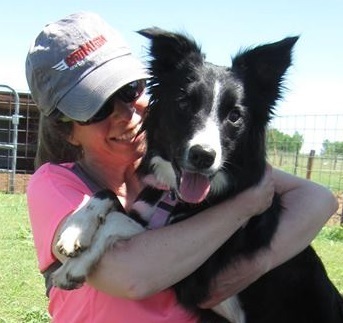 Later, we harnessed Relaxation Protocol strategies to get through transition times -- arriving at dog training class, arriving at new places -- since Lilly struggled more when we first go somewhere. As soon as I assumed the relaxed body posture, asked Lilly for a simple SIT, and began rewarding her for remaining still and calm, she would pop right into Relaxation Protocol mode and settle down. Think of it like an emotional reset. Download Relaxation Protocol Audio Files for FREE ! On request in 2014, I recorded updated audio files of the newest version of the Relaxation Protocol. Depending upon your Internet access speed, you may want to download all 15 audio files at once as a ZIPPED folder, or download each one individually. It's your choice.